For over 20 years I have been designing and decorating residential, retail and commercial spaces. Beginning in real estate and then a gradual, yet natural, shift to interior design in a retail setting, my passion for creating beautiful residential interiors has been the focus of my independent practice since early 2014. I am committed to a philosophy and mission of building positive and collaborative relationships with clients, vendors and tradespeople to seamlessly improve the way you live and feel in your home. At KDI we believe design should improve the human experience. We specialize in designing and decorating spaces that are an expression of our clients’ ideals. We are driven and inspired by innovative solutions, quality, balance and unparalleled customer service. It’s about a seamless integration of Architecture and Interior Spaces embodied by the clients’ lifestyle, budget, and aesthetic values. We are dedicated to getting to know you to carefully consider the smallest of details. Through a collaborative process, we engage with clients on a personal level and aim to craft a custom experience designed to improve the way you live. Regina Sturrock Design was founded in 1996 to provide our clients with residential and commercial interior design of the highest quality. We are a small firm, which places great importance on the very personalized and customized service our clients deserve. From Modern to Traditional, we reflect the individual tastes of our clients. Always unique, innovative and creative, ours is not a signature style imposed into every space. Our design philosophy exceeds the aesthetic point of view; that perfectly appointed showroom, which is great to look at but impossible to live with in some cases. Our environment affects everything about us: how we live and how we work. For this reason, it must function in harmony with who we are and the way we live. Only then can the design process come to a full circle: a beautiful space, uniquely personalized and sustainable. From design concept to project management and completion, we offer a comprehensive range of products and services. Customization is the signature of our company. We provide custom designs in millwork and furniture pieces to truly individualize our clients' homes and workplaces. We appreciate your interest in Regina Sturrock Design, and hope you enjoy looking over our website and what we do. Hamilton's Award-Winning Interior Designer - Best of Houzz 2016-2017! At Pizzale Design Inc. we create liveable luxury for busy clients who care about design and value for a seamless renovation, a custom home and commercial projects. In order to design your dream space we need to get to know you, and your preferences. Our initial appointment is all about you; we want to understand your lifestyle and your values. Only then can we deliver a space that will enhance your life. Our proven design process will evolve once a detailed scope of work and budget has been confirmed with you. Your time is valuable and we will ensure every aspect of the design is taken into account and addressed. 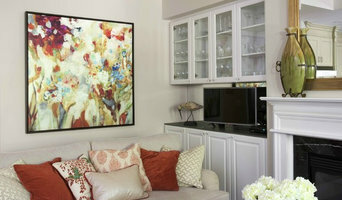 You can expect a high level of detail in the presentation of your new space. We will design accurate and comprehensive floor plans, source all products and finishes and provide you with full 3D colour renderings of the space. View our renderings below. This allows you to feel confident that you will love your new space even before it is completed. Project management is our strength! We will supply you and the contractor with a fully cohesive and coordinated design package ensuring all materials and products are available when needed. Overseeing the construction process straight through to the install day, we deliver a magazine ready project, right down to the last perfectly placed accessory. All that is left to do is for you to enjoy your new space! A good home design professional will hone your style down to its very essence and be able to choose a functional layout that feels natural to you. Interior design companies can be involved as much or as little as the client desires. Many clients who hire an interior decorator in Ancaster, ON — particularly those who are remodeling — have a good sense of how the room should look and what products they should use. Often clients will insist that interior decorators use the products already present in the house. Other times a designer will need to start from scratch — especially if this is a newly purchased or just-built home. An interior design company will need to figure out exactly what the client needs, which includes organizing rooms, picking flooring and wall colors, and finding furniture to complement it all. Sometimes that means he or she will have to recruit help from other Ancaster, ON home professionals to help create the perfect look for your renovation. Here are some related professionals and vendors to complement the work of interior designers & decorators: Architects & Building Designers, General Contractors, Home Builders, Design-Build Firms, Photographers. 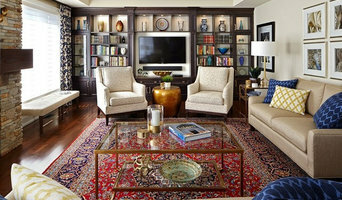 Do your research before meeting with an interior designer or home decorator in Ancaster, ON. Ask yourself what you want your space to become and what it will be used for. Figure out the extent of what you need help with, what your must-haves are and what your budget is. Interior design services can add up fast, so be up front with a potential design firm or individual from the beginning. Also, pick an interior decorator that fits your style. 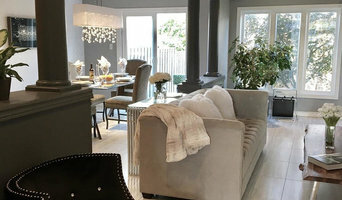 Browse through the portfolios of different Ancaster interior design firms and decide if you would live in those houses. Just because you like something doesn’t mean you could live in it. There's a big difference! Find an interior designer or home decorator in Ancaster, ON on Houzz. Narrow your search in the Professionals section to find Ancaster interior designers near you. You can also look through Ancaster, ON photos to find a room you like, then contact the design firm who designed it.